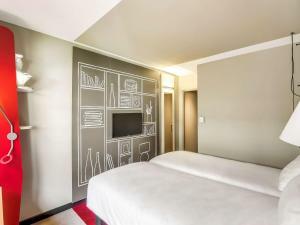 The ibis Paris Bercy Village is located in the lively Bercy Village area, just 100 metres from Cour Saint-Emilion Metro Station and a 10-minute walk from AccorHotels Arena. 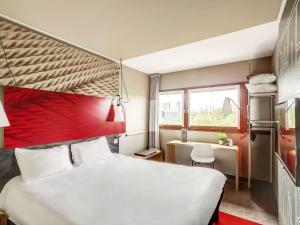 It offers air-conditioned rooms with free Wi-Fi access. 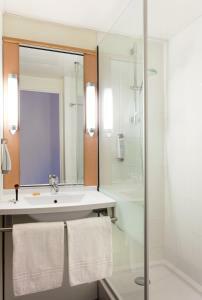 Each room includes a flat-screen TV with satellite channels and a private bathroom with a shower and a hairdryer. A buffet breakfast composed of sweet and savoury dishes such as eggs, fruit salad, yogurts and juices is served every day. Pastries baked on site and fresh French Madeleine cakes are also on offer, as well as a hot beverage and a piece of fruit to take away. Outside of regular breakfast hours guests can also enjoy a lighter option, available from 04:00. You can enjoy pizza or pasta dishes at the on-site restaurant. You will find a choice of shops, restaurants in the Bercy Village area, as well as a cinema. Gare de Lyon Train Station is a 20-minute walk away. The metro will take you directly to the historical heart of Paris within 10 minutes. 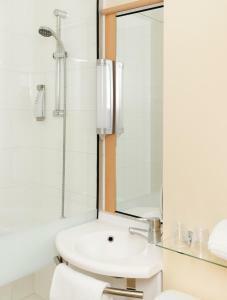 Each air-conditioned room includes free Wi-Fi access, a flat-screen TV with satellite channels and a private bathroom with a shower and a hairdryer. 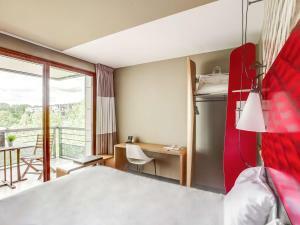 Rate: € 67.50 ... € 195.00; select dates below to get current rates. 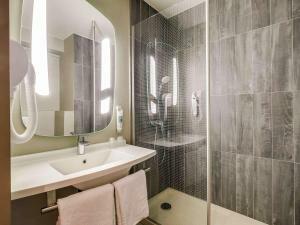 Rate: € 67.50 ... € 152.50; select dates below to get current rates.